Ginkgo Biloba Is Widely Touted As A “brain Herb” For Its Benefits In Preventing Memory Loss And Senile Dementia, As Well As Improving Brain Functions. 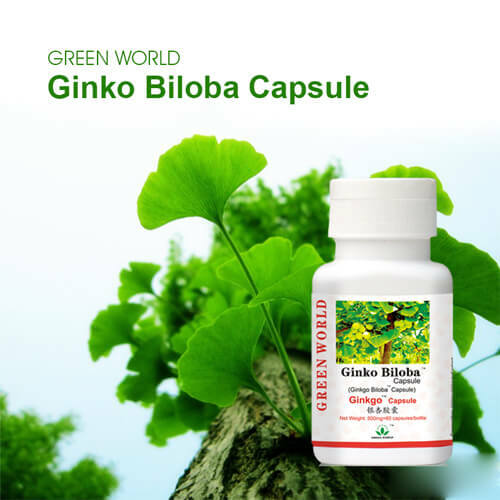 Using Ginkgo Leaves Extract As The Key Ingredient And Adopting Cutting-edge High-tech Biotechnology, Green World Ginkgo Biloba Capsule Boasts The First Choice For Boosting Brain And Blood Vessel Health With Its Richness Of Flavonoids And Ginkgolides. Each Capsule Contains Over 9.6 Mg Of Ginkgo Flavonoids Which Dilate The Blood Vessels, Lower The Serum Cholesterol, Relax The Smooth Muscles And Improve Blood Supply To The Brain. The Ginkgolides Activate The Cells And Counteract The Tissue Damage Due To Iron-deficiency. Prevents Or Relieves Symptoms Of Intermittent Claudication. For Those Who Have High Blood Pressure, High Blood Lipid And High Blood Viscosity. 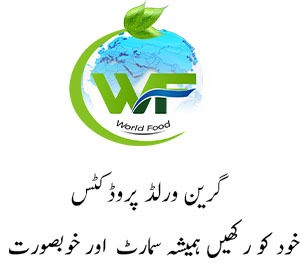 For Prevention Of Age-related Diseases And Delaying Senility. 2 Capsules Each Time, Once In A Day. Ginkgo Leaves Contain Two Types Of Chemicals – Flavonoids And Terpenoids, Which Have Potent Antioxidant Properties. Antioxidants Are Substances That Scavenge Free Radicals – Compounds In The Body That Damage Cell Membranes, Tamper With Dna, And Even Cause Cell Death. Free Radicals Are Believed To Contribute To Health Problems Including Heart Disease And Cancer As Well As Alzheimer’s Disease And Other Forms Of Dementia. Antioxidants Such As Those Found In Ginkgo Can Help Neutralize Free Radicals And May Reduce Or Even Help Prevent Some Of The Damage They Cause. Ginkgo Is Widely Touted As A “brain Herb”, Which Has Been Shown To Increase Brain Function. The Brain Uses About 20% Of The Body’s Oxygen. Because Ginkgo Helps With Brain Circulation, Sending Oxygen To The Brain More Quickly And Efficiently. This Has Many Benefits, Ranging From The Treatment Of Depression To The Increase Of Memory, Reflexes, And Overall Mental Performance. New Studies Have Shown That It Can Also Decrease The Effects Of Dementia In Alzheimer’s Patients, Opening Doors To A New Treatment Of That Common But Mysterious Disease. Macular Degeneration The Flavonoids Found In Ginkgo May Help Stop Or Lessen Some Retinal Problems – Problems With The Back Part Of The Eye. Macular Degeneration, Often Called Age-related Macular Degeneration Or Armd, Is An Eye Disease That Affects The Retina. It Is A Progressive, Degenerative Eye Disease That Tends To Affect Older Adults And Is One Of Main Causes Of Blindness Among Aged. Because Ginkgo Improves Blood Flow, It Has Been Studied In People With Intermittent Claudication, Or Pain Caused By Reduced Blood Flow To The Legs. People With Intermittent Claudication Have A Hard Time Walking Without Feeling Extreme Pain. An Analysis Of Eight Studies Revealed That People Talking Ginkgo Tend To Walk About 34 Meters Farther Than Those Taking Placebo. In Fact, Ginkgo As Been Shown To Be As Effective As A Prescription Medication In Improving Pain-free Walking Distance.